So the poet Andre de Fouquières wrote about Béatrice de Rothschild, the creator of Villa Ephrussi, the Venetian-style palace at Cap Ferrat on the Côte d’Azur. The stunningly beautiful peninsula of Cap Ferrat, which lies between Monte Carlo and Nice, contains some of the most expensive real estate in the world. However, this is no sterile gated community – in fact, it’s surprisingly accessible. You can drive right around the Cap, visit the charming port of Saint-Jean, then stop for a swim or walk the headland, where you can glimpse the manicured lawns and cypress avenues of magnificent villas, which range in architectural style from ultra modern to Italianate and Belle Époque. Of course, glimpses are all you see – unsurprisingly, the walls are high and security is tight around the summer homes of their über-rich proprietors. 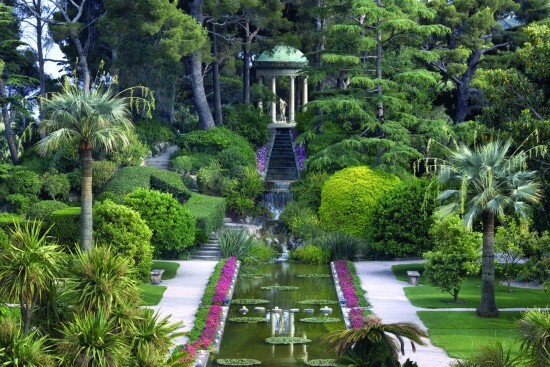 But who needs to ogle these expensive properties when, for just a few Euros, you can spend all day visiting the most exquisite villa of all, the Villa Ephrussi-de-Rothschild at Saint-Jean-Cap-Ferrat? Fortunately for us, when Béatrice Ephrussi-de-Rothschild died in 1934, at the age of 70, she had the generosity of heart to bequeath her creation, which is situated on an unmatchably picturesque and dramatic hill-top location, to the French Academy of Beaux Arts. We can only wonder how many of today’s super wealthy villa owners would make such a gesture. 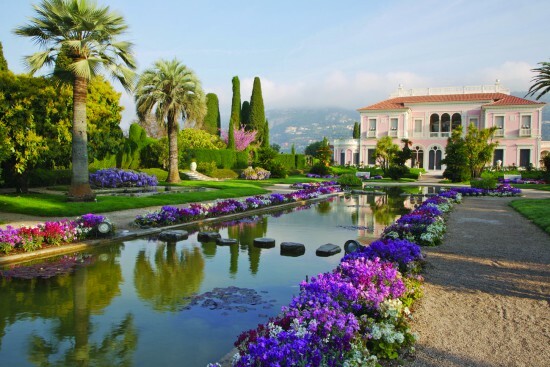 To visit the Villa Ephrussi today is to be seduced by the sheer charm and romance of the house and gardens. Beautifully maintained by Culturespaces, the property is an extravagant testimony to the extraordinarily wide-ranging tastes and ambitions of châtelaine Béatrice. 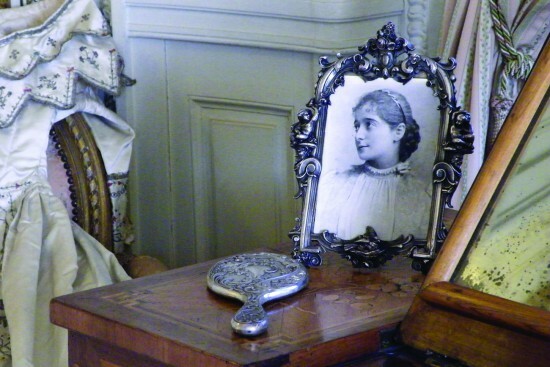 Born in 1864 in Paris, into one of the wealthiest banking dynasties in the world, Béatrice grew up at the Rothschild’s Château de Ferrières, surrounded by the kind of art, beauty and wealth that is simply hard to imagine. In 1883 she married Maurice Ephrussi, a Russian-born banker sent to Paris to expand his family’s financial and social horizons – read The Hare with the Amber Eyes: A Hidden Inheritance by Edmund de Waal for a fascinating insight into the Ephrussi family. Maurice Ephrussi certainly fulfilled his mission – by marrying Béatrice, his own wealth was added to the Rothschild fortunes. With no children, the couple – especially Beatrice – were free to devote their time to travelling the world, seeking inspiration and collecting works of fine art, especially Old Masters, porcelain and sculpture. During a number of family holidays on the Côte d’Azur, Béatrice fell in love with Cap Ferrat. Between 1906 and 1912 she acquired the seven-hectare (17-acre) site and began to commission and build her “new Eden”. 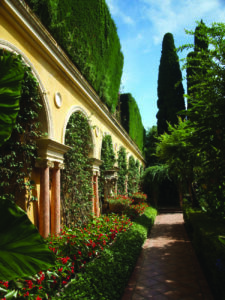 For architectural purists, the pink palazzo on the hill will fail to score many points but for most visitors today it is a fabulously eccentric, romantic and intriguing confection of Venetian, Renaisance and Moorish influences. Inspired by her ocean voyages on the great liner, the Ile de France, she wanted the house and garden to resemble a great ship sitting high above the blue waters of the bay. Some 15 architects came and went, attempting to interpret the Baroness’s extraordinary vision of the house and garden – she must have been an exacting and challenging client. 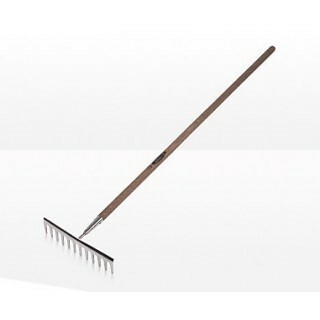 But a visit to the Villa will reveal just how successful she was in achieving her dream. The Villa is an essential part of any visit to the Côte. Try to visit on a fair day, when you will be struck by the bright contrast of the pale blue sky, the sugar almond pink villa, the deep green of the pine trees and lush gardens overlooking the vibrant aquamarines and azurs of the waters in the bay.